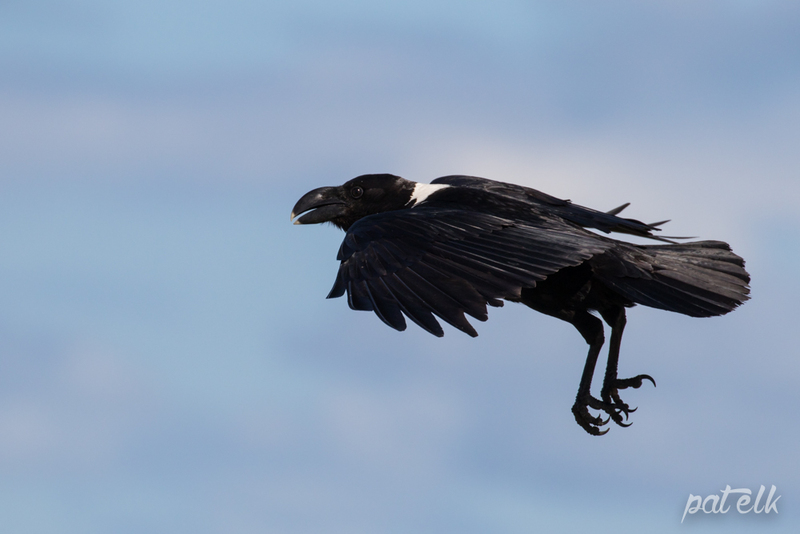 The White-necked Raven (Afrikaans name Withalskraai) is quite a large bird, bigger than a crow, all black with a white crescent on the back of the neck. 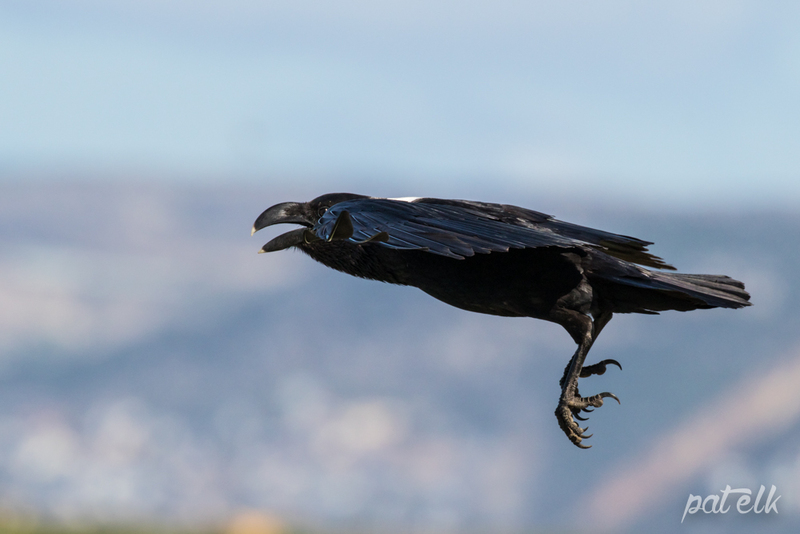 They eat a wide variety of food from roadkill to birds, tortoises (which they drop from a height onto rocks or the road below), eggs and have also been recorded eating fruit and seeds. 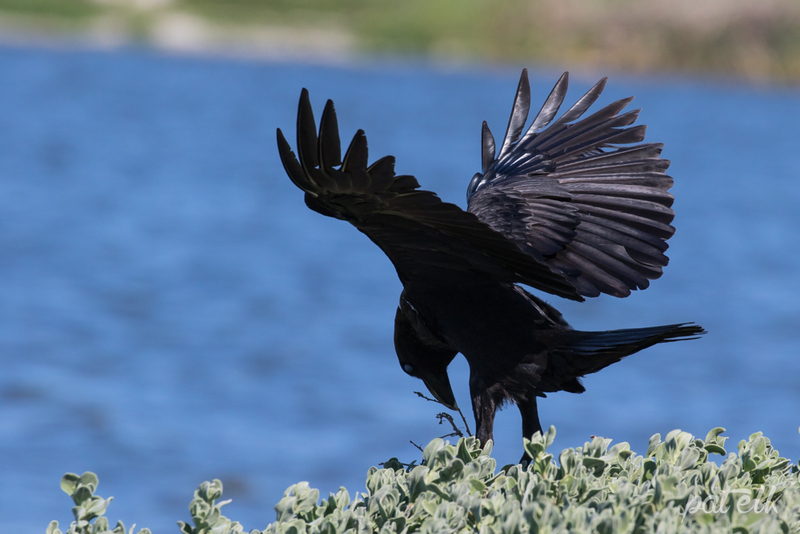 We captured these photos of a pair playing with a stick, (picking it up, flying into the air, dropping it and then pick it up again and repeat) in the Strandfontein Sewage Works in Cape Town.